Is there anything better than a cozy sweatshirt on a fall or winter day? Sweatshirts are like hot soup, or apple pie, something super comforting, feels great, and generally puts you in a nice mood. Clothingmonster.com office staff are sweatshirt junkies. Staff love our own selection and literally buy from the warehouse directly. Crazy, right? Well, if you loved cool sweatshirts and worked at clothingmonster.com with brands like The Mountain, you’d probably do the same. More than just the feel, Men (brand The Mountain) sweatshirts have some of the most kicking designs. Awesome apparel like this especially on a sweatshirt is tough to find. These are offers that feel genuinely American. With worldwide shipping, it doesn’t matter where you are, you can take advantage of this awesome offers regardless of your location. 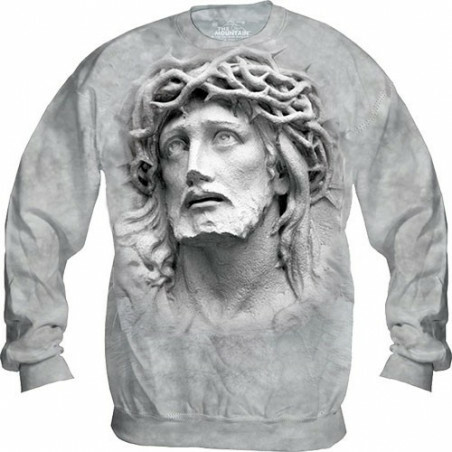 A clothingmonster.com favorite department – the men’s sweatshirt.